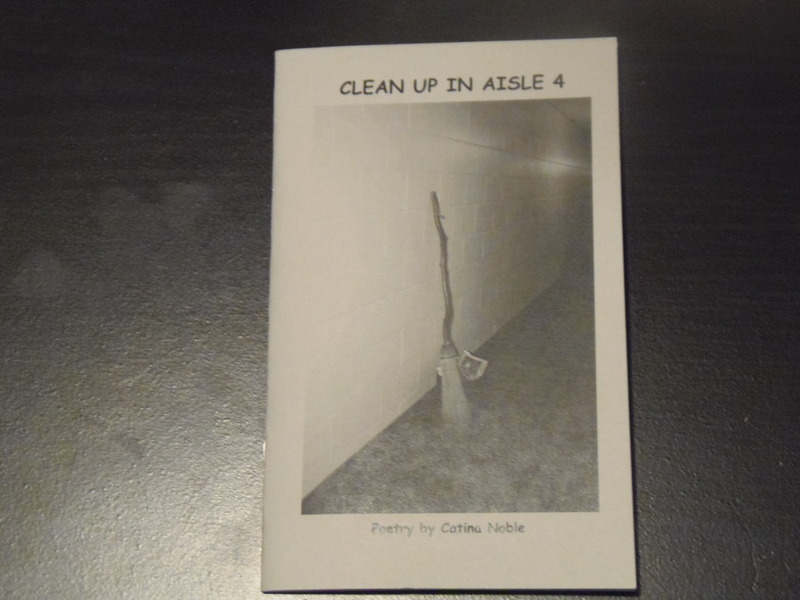 Catina Noble’s chapbook is a fine collection of 20 short poems that reminisce with rawness, and remembering’s. Poetry is a way of cleaning up what was. We have the dual world on poetic view from the blues, disease, death of her dog, and the many ways life brings us down. Yet a counterbalance is here with poems of appreciation to her relatives Aunt Valeria, and Grandpa. A celebration of joy for friends( past and present) and her feeling of immense luck with family of Jacob, Anne, Baileigh, Nathen and partner David. Intimacy and vulnerability is a bond made beautiful from revealing the whole poetic rhythms of the hearts hurting /healing terrain. Tears “gifts of grace” shower the reader with a deep resonance. We instinctively feel compassion and identity for this creative survivor. The poet’s passion ruptures the wounds. Invisible bloodstains are here as noble badge of courage. There are multiple tragedies but redemptions spirit arrives with poetic healings. Wounds have a womb for rebirth. Medicine is always in the maker and the making. Ending lines from the poem Sojourn “this landscape full of love, laughter, loss and life” guided by the gentle moon reveals all the poets’ wide beauty and the gift she gives the world. 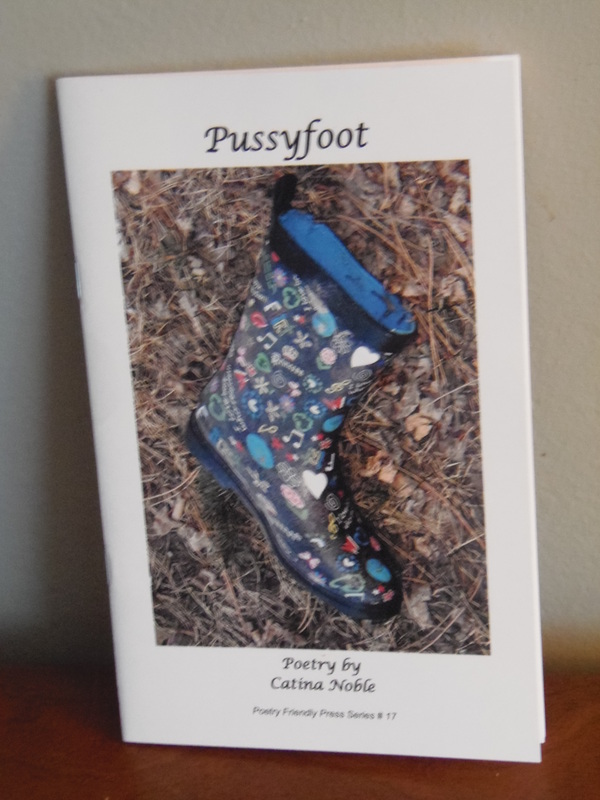 “Pussyfoot” My First Chapbook Published in May 2013. Centered in the cover photo is a single colorful girl’s boot, apparently left behind in the brown grass and dead leaves of late fall or early spring. The boot is covered with happy motifs of hearts, flowers, butterflies and in the centre, the word, Princess. The title of the book, “Pussyfoot”, is an apt one, for the poems inside move tentatively forward, back, and forward again between themes of loss and hope. These poems of personal journey struggle with old relationships and seek answers and perhaps new beginnings. As I progressed through the book, I found the journey of the poems was not always moving in one direction, that the speaker moves from sadness and perhaps defeat towards growth and hope, sometimes drawn backward and having to begin again. This idea is offered to us in the second poem in the collection, “Boxed”. Anyone who has ever experienced the breaking apart of a relationship, whether with a friend, a lover or a family member, and learned to build new ones, or mend old, will relate to the poems in “Pussyfoot”.